Support Indian Blue Chorus Now! Indian Blue Chorus has partnered with the Entertainment Book to help us raise funds to support our chorus members as we represent Joondalup Perth in our Regional Competetion in Hobart 2020! Early Bird purchases gives you access to exclusive offers. Did you know that if you select the digital verson of the Entertainment Book then your phone lets locates your area, and you can search on offers near you. Every discount, offer, Buy one get one free, etc. will show on your phone for the area you are in. This is really helpful when you are not sure where to go, or what is close by or even in an area you haven't visisted before. Fantastic option - especially when you know you're getting a discount at the same time as supporting Indian Blue Chorus. Funds raised will contribute to Indian Blue Chorus heading to Hobart for Sweet Adeline's Australia 2020 competition. How quickly our year came to an end and what a perfect way to do so with a number of performances throughout the City of Joondalup. December was packed full of festive harmonies with our members getting out and about and headlining at a variety community carol events in and around the City of Joondalup and the City of Wanneroo. Chorus members committed to a whole day of singing at various spots across the Cities of Joondalup and Wanneroo as part of our annual Community Sing Out Day. This year members visited some new and familiar venues which included Burns Beach Cafe for the mid-morning patrons before heading over to Joondalup Health Campus for the mid-afternoon singing. Members ending the day our regular final destination, St Ives in Mullaloo. The chorus went on to sing at Burns Beach's Carols by Floodlight. This was the very first community carols the Burns Beach Resident Association (BBRA) have held. The final festive performance saw the chorus returning to sing at Sorrento Quay's Carols on the Boardwalk. In between all the community-based performances a small group of singers headed over to 6PR for our fourth and final show of the year. We really have been getting out and about preforming – something many of our members really like to get involved in – and bringing some happiness in harmony to the wider community. Indian Blue Chorus are excited for many new opportunities with the start of a New Year. The first one of course is holding a 6 week Everyone Can Sing Course which is open to our communities far and wide. This is an opportunity to give yourself the gift of voice, harmony, friendships and much more whilst learning the skills week on week. This is sure to keep us all singing during the months of February and March! Indian Blue Chorus were honoured to be asked to return to 6PR to showcase a few more of our singing quartet members. Congratulations to our members, Sonia and Ali who sang on the radio for the first time. Indian Blue Chorus turns 5 years old and what better way to celebrate by donating gifts of school stationary packs to Perth Mums’ School Packs Project! Over the last 5 years Indian Blue Chorus has selected a charity of choice through its members. Previous birthday recipients have included Pat Giles Centre and Grandparents Raising Grandchildren WA. As Indian Blue Chorus approached its 5th birthday, we wanted to focus on an organisation to encompass the needs of all school aged children. So, we contacted Fiona, from the School Packs Project, via social media to get more information. On Tuesday 4 September, chorus members celebrated, dressed according to their ‘longevity’ in the worldwide, Sweet Adelines International organisation – some newer members donned nappies whilst there were several members who dressed as 20-30-year-olds! Indian Blue Chorus welcomed Fiona and Pam, Perth Mums who brought this project to life. The Perth Mums behind the School Packs Project are aspiring to put together 500 stationary packs for the hundreds of children in WA family refuges escaping domestic violence. Indian Blue Chorus’ 5th birthday donations kick-started the 2018 campaign, with over 10% of competed School Packs for both primary and secondary school children being gifted! To get involved in supporting the School Packs Project members of the community can donate new stationary items during September at participating community libraries in Duncraig, Joondalup, Whitfords and Woodvale. Further details can be found on the project’s Facebook page @schoolpacksproject. Indian Blue Chorus is a West Aussie Women’s Barbershop Chorus who since and perform the music they love. They formed in 2013 as part of Sweet Adelines Singers International to bring women together. Indian Blue sent out a quartet to sing for 6PR: Kali Caramia (Bass), Liz Bowning (Baritone), Bec Hewitt (Lead) and Megan Lloyd (Tenor). They joined Chris in the studio to show off their talents before they embark on new shows in Fremantle and Adelaide. Indian Blue is thrilled to announce that our director, Kali Caramia will be joined by a new Co-Director in July! We are delighted to welcome Bec Hewitt to our team and look forward to another new chapter in our fabulous journey . Bec Hewitt has been actively involved in music and performance for 20 years as a soloist, jazz band lead singer, community theatre, and choral singer. She has been involved in barbershop for 15 years during which she has participated as a chorus member, a voice teacher, a coach, a quartet singer, a director and as a Singing Judge in the Australasian Guild of Barbershop Judges for Barbershop Harmony Australia. Most notably, Bec was the Lead in 6 time Region 34 Champion quartet Hi-Jinx, and is the Musical Director for Vocal Evolution in Perth. Bec is a member of the Sweet Adeline's Regional Education Faculty and the Barbershop Harmony Australia Regional Education Faculty. She is also the General Education Coordinator on the Region 34 Regional Resource Team. In her ‘life outside of Barbershop’ she runs her own business, Just Sing! Teaching voice and performance to singers of all ages and all styles. 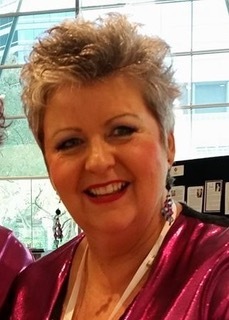 Kali Caramia has been a member of Sweet Adelines International for over 22 years. She is a graduate of the Perth Modern Music School and a student of a number of instruments over the years, (piano, clarinet, double bass and now cello). 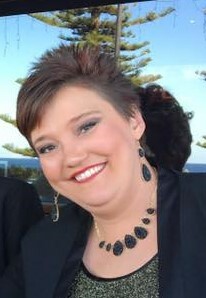 Kali ‘found’ barbershop in 1996 and went on to complete her Directors’ Certification in 2001; has won three regional quartet championships (and two silvers) with BlackJaQ quartet, sang bass and served as section leader in Perth Harmony Chorus from 2002 – 2013 earning 5 regional gold medals and one silver and has represented Australia internationally at a chorus and/or quartet level on five occasions. Kali has served as the Region 34 Team Coordinator (2012– 4), the Sweet Adeline International (SAI) Editorial Review Board, the Region 34 Bylaws and Standing Rules Committee, the RMT Nominating Committee and is currently serving as the Region’s Directors’ Coordinator and as a member of the Regional Education Faculty. She has also become one of the first Directors in Australia to be awarded the new Harmony 500 pin as part of the Sweet Adelines International Directors Certification Program, by Indian Blue achieving over 500 points at competition when they also won their first medal, placing 3rd mid-size chorus at the Australian Sweet Adelines convention at the Perth Convention Centre in May 2017 with 48 singers on stage. Kali continues to gain knowledge by attending as many educational events as she can at both men’s and women’s regional and international events. The next step in Kali’s journey with barbershop is joining the amazing Lions Gate Chorus in Vancouver, Canada. In September of this year she will be living in Vancouver and singing with Lions Gate under the direction of Master Director Sandy Marron and next year will live in Canada for 5 months and compete with them at the International convention in New Orleans in September 2019. The education and knowledge she will gain during this time will be a fabulous injection into Indian Blue’s knowledge base. Indian Blue Chorus is embarking on a new journey, one of harmony, education and excitement over the months to come with this fantastic duo leading the Chorus forward. 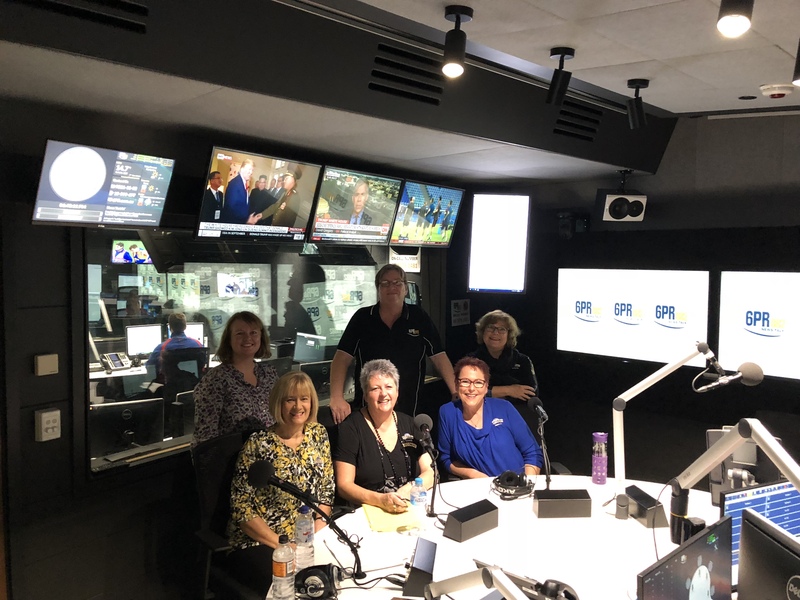 Talk back Radio with Chris Ilsley was all about the women as Indian Blue Chorus took over Perth airwaves for 15 glorious minutes. INDIAN BLUE CHORUS has just returned from the Sweet Adelines Australia Convention held at Wrest Point Casino in Hobart, Tasmania last week. Along with around 950 female a cappella vocalists from all over Australia, Indian Blue loved returning to Hobart where they last competed in 2015, taking 32 of our almost 50 members to join in the excitement, camaraderie and education. Hobart was a fantastic experience for the chorus. We were armed with a brand-new song in the competition package, arranged especially for Indian Blue and never previously used in competition! This challenging song required lots of commitment, energy and excitement and to help us prepare this song for the stage, we took on the ‘Stepping it out to Hobart Challenge’ where members were encouraged to get out and walk to build stamina for this impressively fast and dynamic song. Hobart saw a total of 23 choruses and 23 quartets compete, including the debut of Indian Blue’s quartet, ABSRACT. Whatever the purpose or the competitions’ outcome, it was electrifying in energy, emotional in terms of song delivery, entertaining in performance, and a highlight to Wrest Point Casino visitors and competitors!